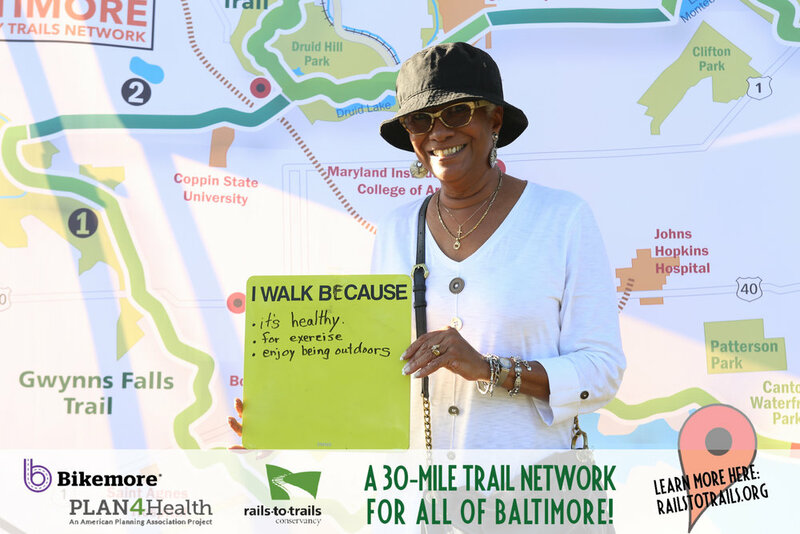 Baltimore Greenway Trails Network We're creating a 35 mile trail throughout Baltimore so that you can walk or bike to 50+ neighborhoods and countless destinations, parks, businesses and more. 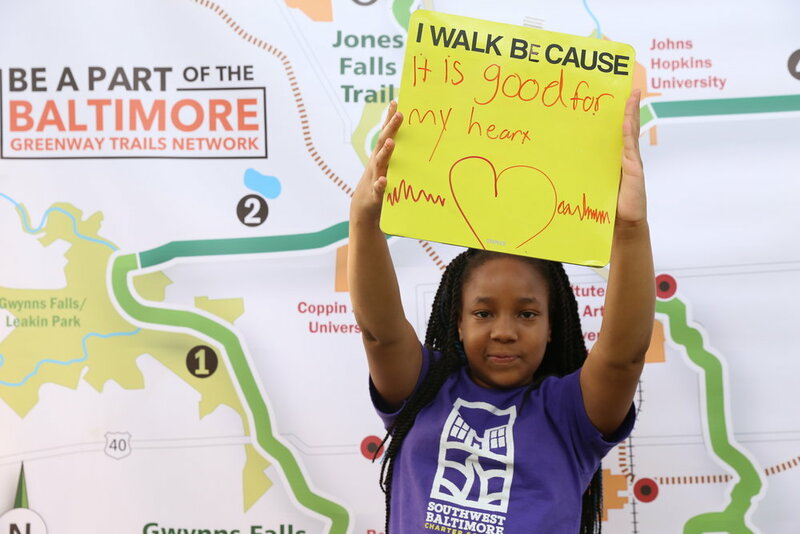 By connecting three existing trails — Gwynns Falls, Jones Falls, and Herring Run — only 10 additional miles are needed to close critical gaps that would create this interconnected trail network. 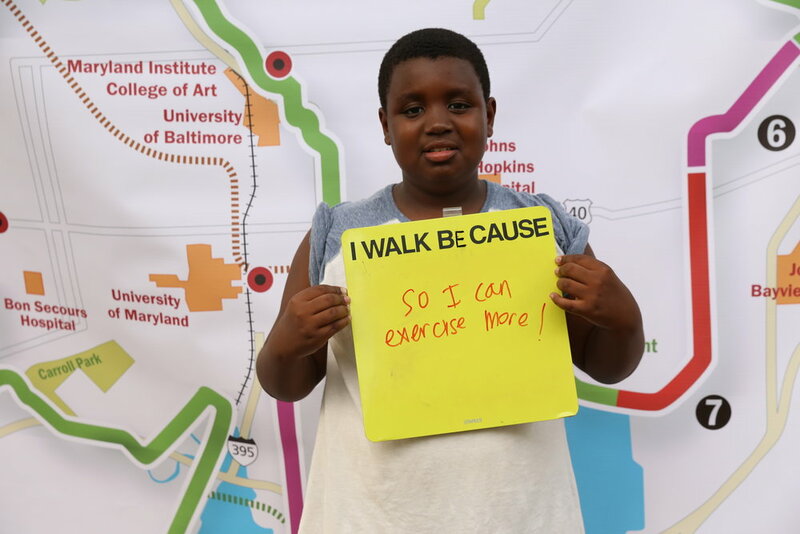 We're working to create a continuous 35 mile loop, providing residents with a safe and active way to access the city’s major institutions and destinations, including universities, hospitals, museums, parks, schools, waterfronts and employment centers. 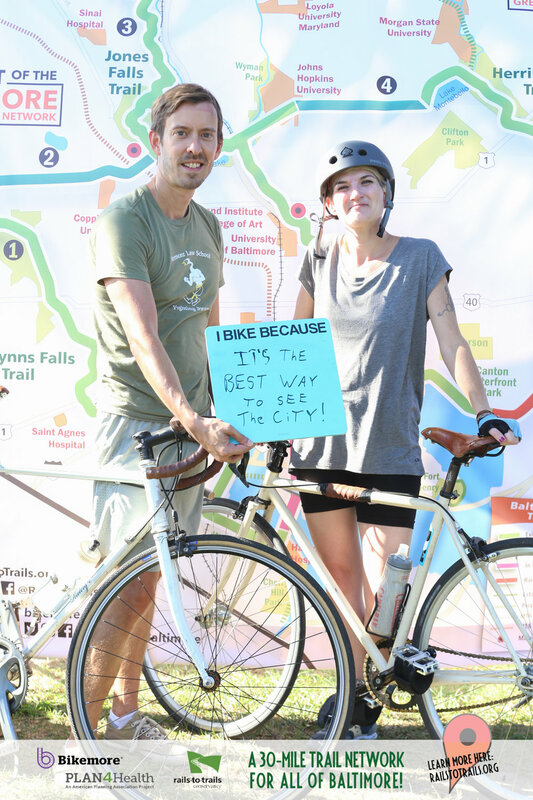 We can't do it alone. 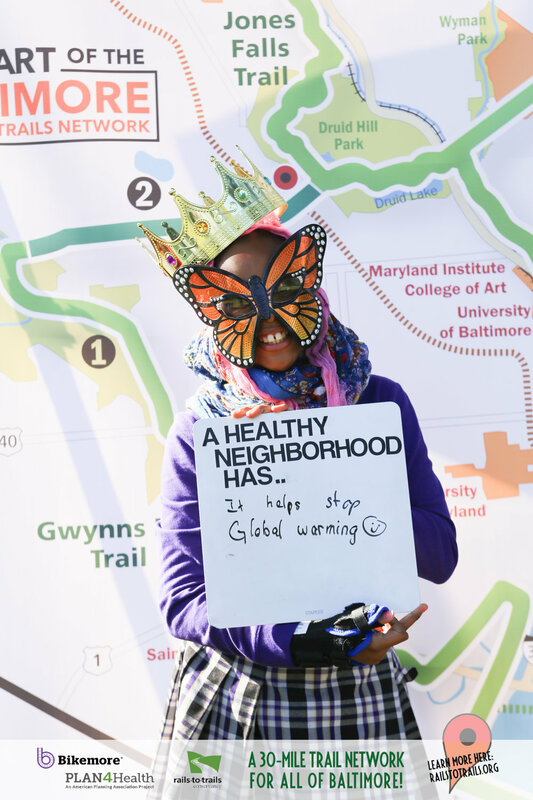 The Coalition is made up of a diverse set of public agencies, community development groups, major employers, anchor institutions, transportation advocates, and parks and open space organizations; and we're committed to involving the neighboring communities in the process. 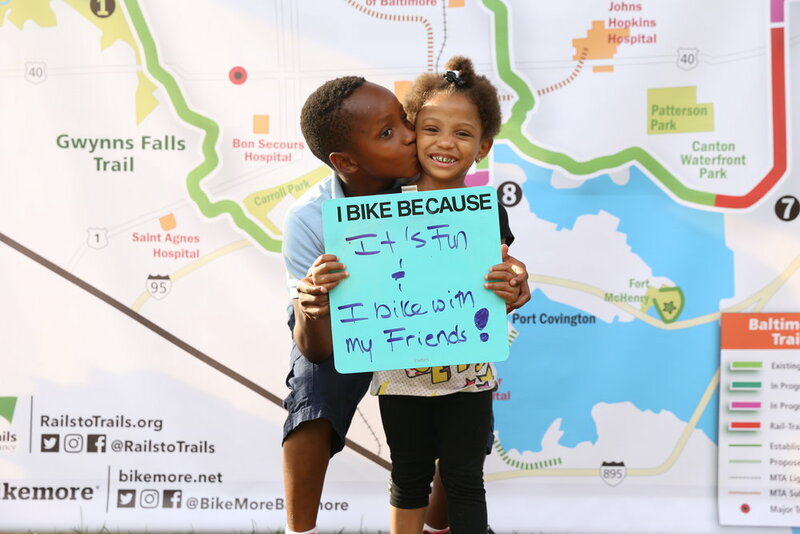 The coalition is building on and supporting existing initiatives, including Parks & People’s One Park Concept, Baltimore City’s Growing Green Initiative, the updated Baltimore City Bicycle Master Plan, the Open Space and Parks Task Force, and a revitalized master plan for the Middle Branch. 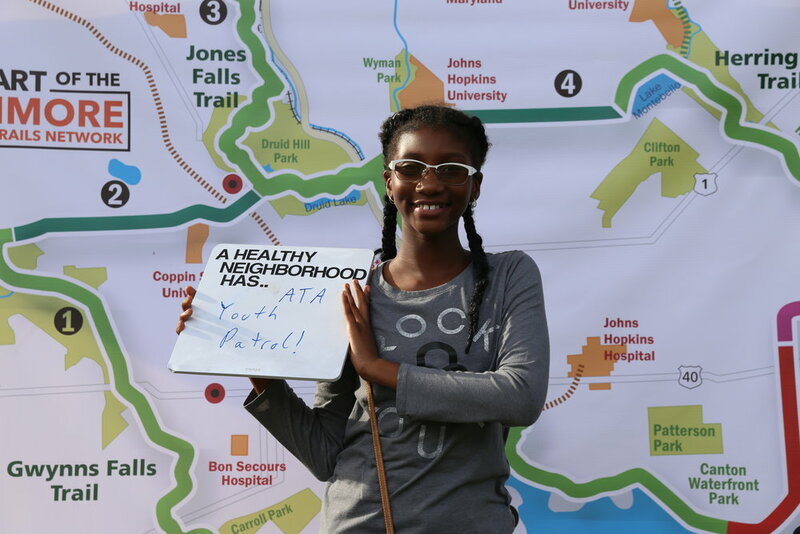 In late 2015 we were awarded a Plan4Health grant from the American Planning Association (APA). 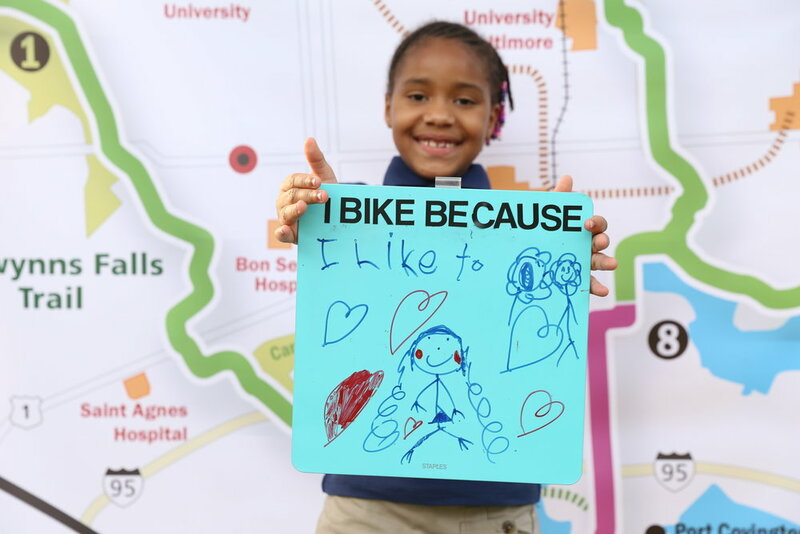 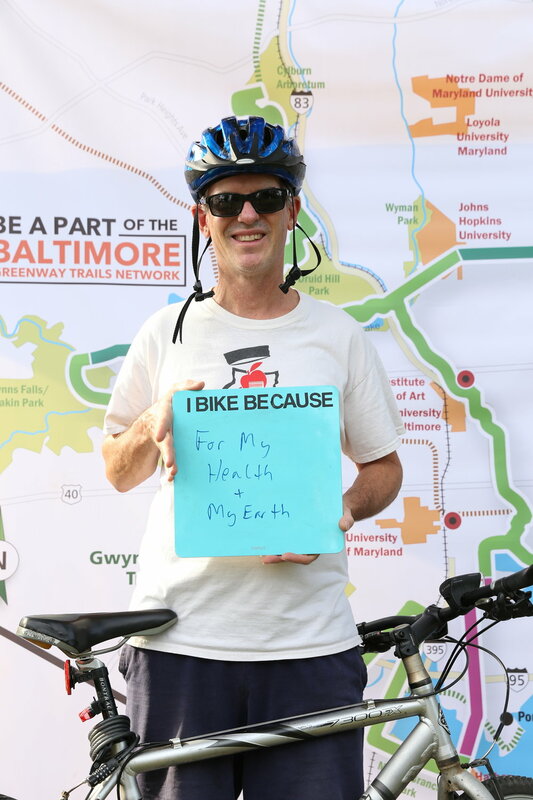 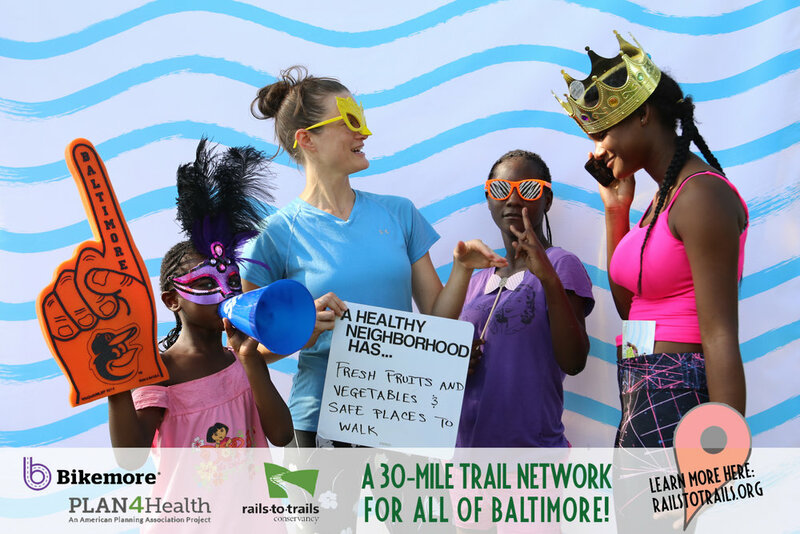 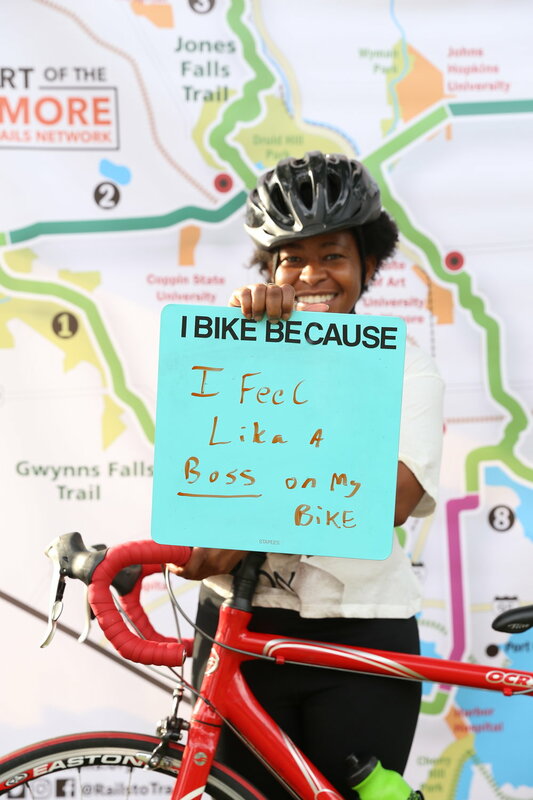 This allows us to focus on strengthening the capacity of the coalition and to grow grassroots outreach in West Baltimore —where there is a significant lack of trail and active transportation infrastructure — to mobilize on behalf of healthy active living. 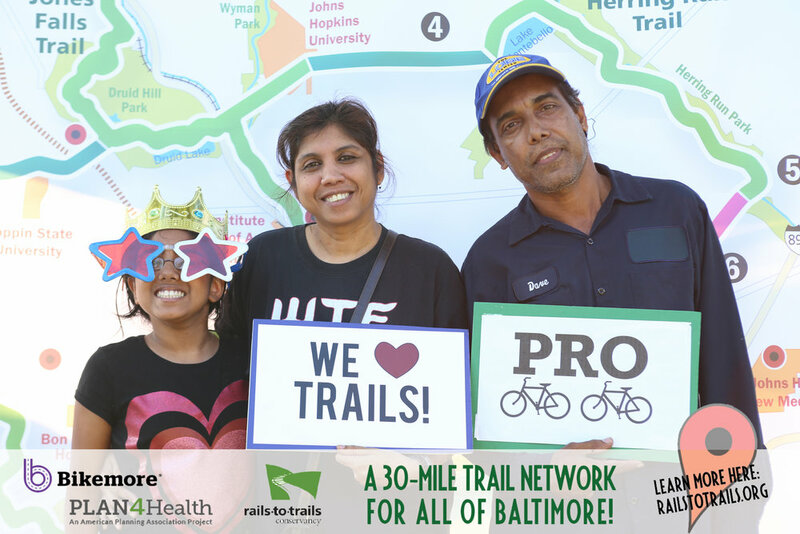 Every Wednesday in September we talked about the Baltimore Greenway Trails Network with neighbors at the Druid Hill Farmers Market. 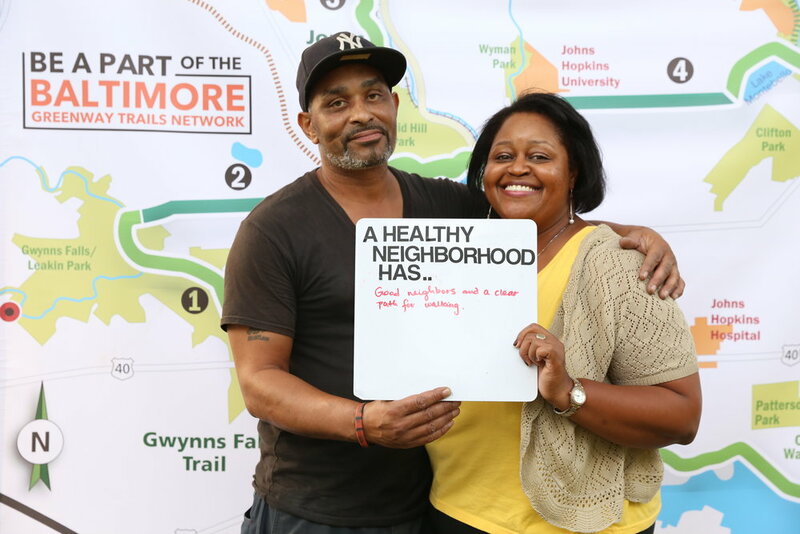 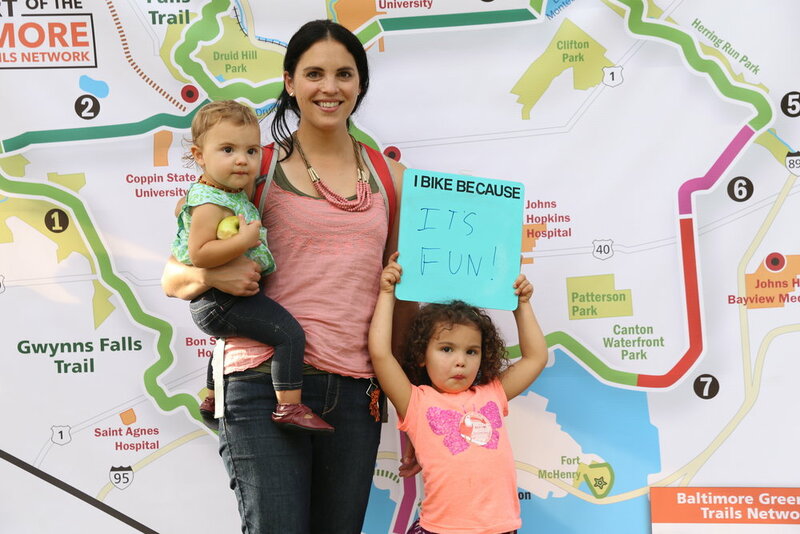 We asked them why they bike and walk and what a healthy neighborhoods looks like. 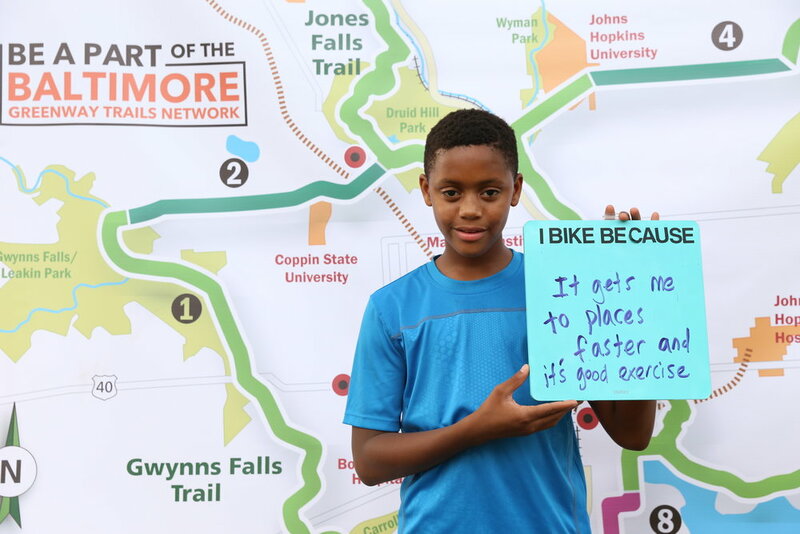 And of course, they had some pretty amazing thoughts.